Not too long ago, one of the men who runs Kingweston shoot was involved in interviewing Saddam Hussein. More on that little nugget later, although it’s fair to say that today Jonathan Tait-Harris is more likely to be chatting to guns than ex-dictators. Jonathan manages this Somerset enterprise – which has existed for many years – with business partner Dominic Taylor. 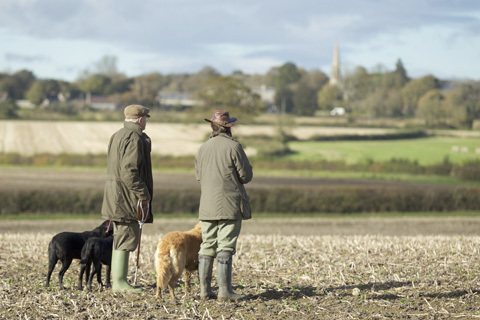 The shoot extends to 2,000 acres on Kingweston and a further 400 acres on the adjoining Hurcot estate. Split on an east/west axis, it has 18 drives, and the west is wooded and centred around an escarpment and deep valley. On the furthest extreme is an old Roman alabaster quarry. This area has some of the best drives showing the highest birds. The eastern end has birds coming out of mature woodland. Most of the estate is arable, although one farmer has a small dairy herd, and the shoot boasts several Sites of Special Scientist Interest. 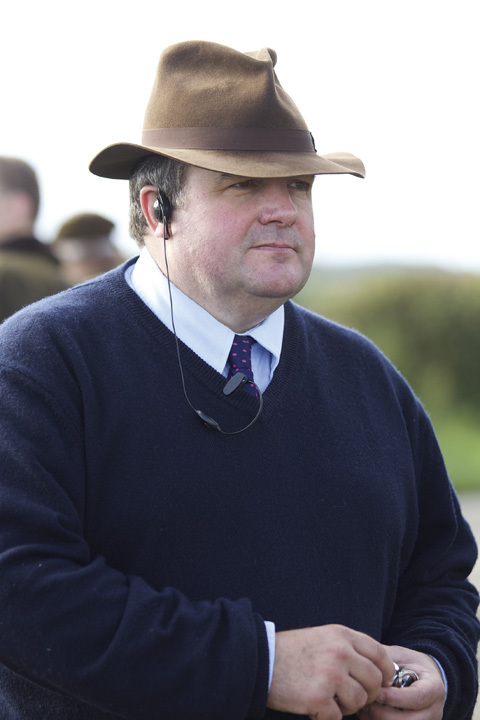 The man behind Kingweston shoot Jonathan Tait-Harris has had a fascinating career. 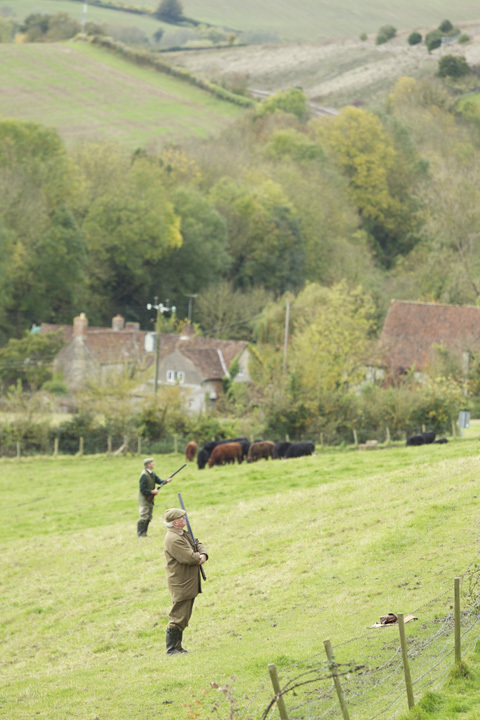 Before its current reincarnation, the shoot was run by a syndicate comprising local farmers and ex-military officers. Jonathan and Dominic became involved when they shot at Kingweston as guns; they heard the shoot was being wound up as it had lost momentum. After some discussion they acquired the rights three years ago, and since then have put in a great deal of time, effort and money to revitalise the shooting. Jonathan takes care of hosting on shoot days and he certainly has an interesting background. Following graduation from Sandhurst as a commissioned officer in the Light Infantry, he served in the UK, Kenya and Northern Ireland. Since leaving the army he has had a varied career, including working for the Environmental Investigation Agency looking into the illegal tiger trade. He was director of the Secure Evidence Unit (US government) and was involved in interviewing Chemical Ali as well as Saddam. Before this he was involved in the UN International Criminal Tribunal for the former Yugoslavia, working on several prosecutions including that of Slobodan Milosevic. Most recently he has been working in Libya as a consultant relating to the crimes committed by the Colonel Gaddafi regime. He has appeared on BBC ITV and Discovery Channel and is an expert on war crimes. Nick Perrett manages the shooting in Jonathan Tait-Harris’s absence. Besides now managing the Kingweston shoot, which takes up most of his time, he also runs a business called Green Zone Training, a company that trains people for deployment to challenging and hostile environments. Jonathan gave me a guided tour of the estate in early September and showed all the work they had done. Two extra-large pens have been built in strategic areas to replace several smaller ones. Other areas have been cleared to provide better visibility and shooting; the plan is to build a cabin in the woods as an ideal lunch spot. The poor weather this year has put the build on ice, although an area has been prepared. The pickers-up here operate with military precision. gundog training days, Keinton and Hurcot days (75-125 birds) and 200 bird ‘flagship’ days with full hospitality. Out of season simulated days and roe stalking are also available. The day of my visit for one of the Keinton and Hurcot days coincided with a break in the weather. The day was mild and fairly sunny with a slight breeze. The countryside looked stunning with trees in varying shades of autumnal colours. The views to Glastonbury Tor and beyond to Wells, England’s smallest city, were truly beautiful. All the guns parked on the edge of the rugby field at the end of a no-through road and met in a converted stable nearby, where coffee and biscuits were provided by Jonathan and his friendly team of helpers. Jonathan and team all wore a ‘uniform’ of dark blue V-neck sweaters with a pink ‘K’ on the arms, dark blue shooting stockings and blue and white spotted ties. This makes them easy to identify if you need to ask for any information during the day. The two keepers were both smartly dressed in traditional tweed suits. 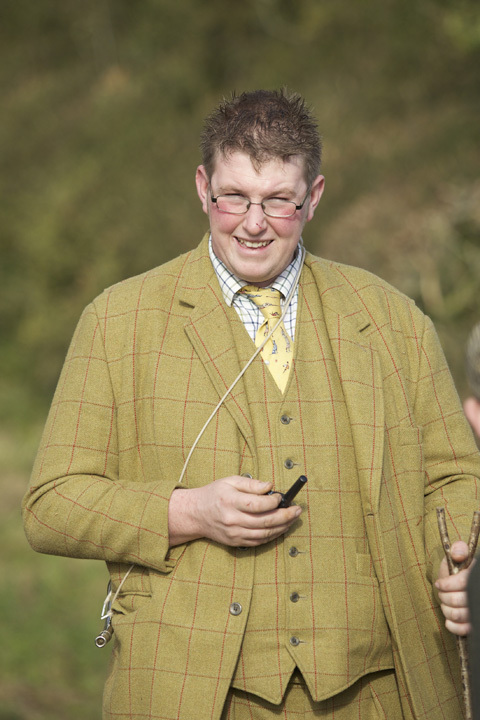 Ex-Sparsholt College pupil James Dyer is the gamekeeper at the Kingweston shoot. A neat piece of fate as he used to beat on the shoot when he was a boy. Full-time keeper James Dyer stands literally head and shoulders above everybody else. A young man in his second season at Kingweston, as a teenager he used to beat on shoot days under previous headkeeper Bob Down, who keepered the estate for 42 years. Since retiring, Bob still beats on most shoot days. 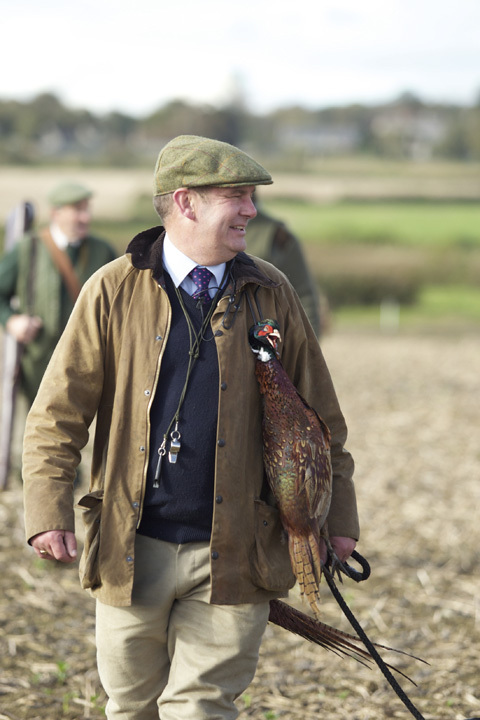 James went to Sparsholt College in Hampshire for two years of training, before joining a shoot near Axminister. When the opportunity came to take the position at Kingweston he jumped at the chance, partly because he lives in the neighbouring village. Two years of hard work at Kingweston is starting to reap rewards, and the experienced, friendly and well organised team ensures all visitors get a warm welcome. After a safety briefing from Jonathan, the 10 guns drew pegs. Even numbers were to move up four places and odd numbers down four after each of the six planned drives. The beaters were transported around in a cattle trailer pulled by a Massey Ferguson tractor. The guns travelled around in a selection of four-wheel drive vehicles and headed to Orchard, the first drive. This is an old cider apple orchard with large, mature trees and lots of cover underneath. I had shot there in early September on a walked-up partridge gundog training day, which proved entertaining and extremely good value at less than £20 per bird (including VAT). The guns were positioned around three sides of this drive, which also sometimes goes by the name Elvis’s, as the nearby cottage is the home of the local professional Elvis impersonator! A few pheasants did show, but only one or two crossed the line and were shot. The beaters did see a fox, which might have accounted for the lack of birds. However, one of the biggest problems the keeper was having was due to maize – most in the immediate area had not been harvested as the ground was wet. This meant many pheasants were not where they should be. Later in the day we saw one field of uncut maize which must have been 80 acres, quite close to one of the main release areas. Guns wait expectantly in idyllic surroundings. early-season walked-up partridge gundog days. 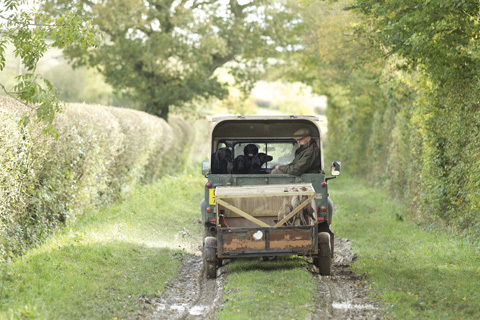 He would like to see Kingweston expand to include classic low-ground driven partridge shooting. Most of the estate is arable, with many acres of stubble left through the winter. By allowing some of the hedges to grow higher some interesting partridge drives could be created. After the first three drives, we returned to the stable for lunch, which the guns had brought with them. The Keinton and Hurcot days do not include hospitality except tea, coffee and port, thus reducing the cost to £25-32 (including VAT) per bird, depending on the bag shot. The Flagship days of 200 birds with hospitality cost around £38 per bird (again, including VAT). The first drive after lunch was Palmers, which got its name from a local artist who had a hut there. The area is part of a quarry once used by the Romans to produce alabaster. This drive produced many more birds, some of which were quite challenging. And the views from the top of the quarry looking down over thousands of acres of Somerset countryside from such an elevated position were breathtaking. I was pegged part way down the steep escarpment on this drive; 25 yards below on my left was a pasture field in which three other guns stood. Immediately in front of me was a fairly tall, dead, leafless tree, which meant any pheasants coming towards me could be easily seen but would be at a good height as they flew over the top of the tree. Behind me on picking-up duty was Mark House and his two eager black labradors. Six birds presented me with good chances, five of which I managed to shoot and all were quickly and efficiently retrieved by Mark’s dogs and added to the game cart. Village spires and hedgerows… the stunning Somerset countryside. The fifth drive was a woodland affair called New Drive, which produced many birds. During the Second World War Portuguese prisoners made use of huts here when logging in the woods. The final drive was Sundial Bushes, near the remains of an old Roman road. Here some guns were double banked. An area of woodland has recently been cleared to provide better peg positions. There was no shortage of birds but guns needed to be selective to pick the better fliers. To my left Philip Baker, who is in this late 70s, brought down several good birds with his trusty Beretta over-under 20 bore. Philip farms near Yeovil and has his own farm shoot. Every gun had shooting on Sundial Bushes so the day finished with a flourish, with a final total bag of 111 pheasants for 425 shots. 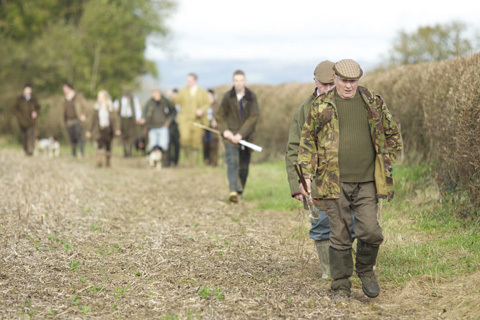 This is a traditional, well-run pheasant shoot, which is continuing to make improvements. Jonathan, James and team are hospitable, friendly and helpful. Kingweston is starting to reap the benefits of two years of hard work and investment, so the future is bright.